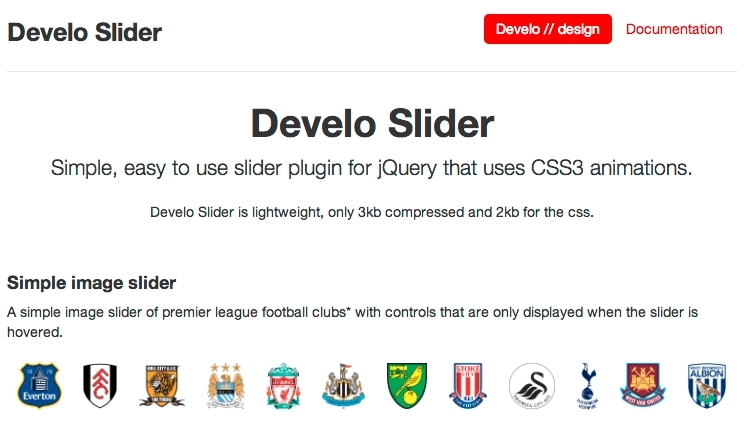 Introducing Develo Slider, a lightweight, simple and easy to use content slider plugin for jQuery that uses CSS3 animations. You can download it and use it as you wish for free from github, and if you would like to view some examples and documentation then head over to the Develo Slider homepage. We want to hear about your project! Provide us with a few details and we’ll get back to you for a chat. © Develo Design Ltd 2019 All rights reserved.